Have questions about the Capitol? 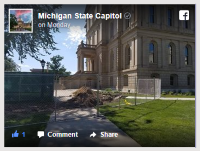 Contact the Michigan State Capitol Commission, the Michigan Capitol Facilities Office, and the Michigan Capitol Tour Service for answers. The Michigan Capitol Facilities Office manages the day-to-day operations of the Capitol building. The Michigan Capitol Tour Service schedules and guides over 3,000 tours a year. The Michigan State Capitol Commission operates, manages, maintains, restores, and improves the Michigan State Capitol and Capitol Square. 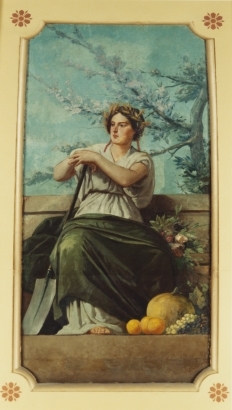 mounted in the Capitol’s dome in 1886.